Thursday, April 11th is almost upon us! 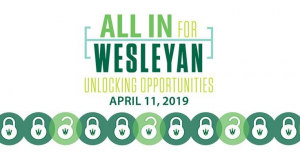 That is “All In for Wesleyan Day” Unlocking Opportunities, 2019! 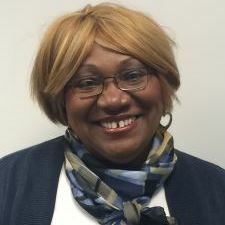 It is our annual giving fest that takes place with a flurry of generosity. It is when all I.W.U. alumni, parents, faculty, staff, and friends get to show their pride and support by being “All in for Wesleyan.” During this 24-hour giving day, we can unlock opportunities together. You are the key to our success! Be sure to check out the “All In Happy Hours” that will be taking place around the country. Show your Titan pride by spreading the word about All In for Wesleyan to your personal networks via social media, calls, texts, emails, etc. You are sure to have a great time! Especially because you will be encouraging others to make an additional gift on All In and sharing stories about how IWU Unlocked Opportunities for each of us. Visit our All In webpage for more information. Register for a regional All In event. Please, spread the word on social media using #AllInForWesleyan. Thank you, Titans! See you on the 11th, when we will all be: ALL IN!! !